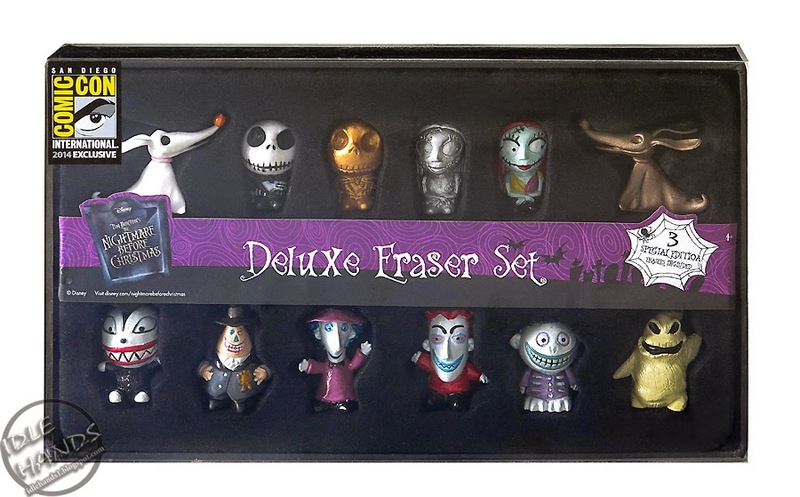 - Nightmare Before Christmas Eraser 12 Piece Display Set ($25): 300 pieces - Jack Skellington and all of his gang are here in this hauntingly beautiful collection of The Nightmare Before Christmas Erasers. 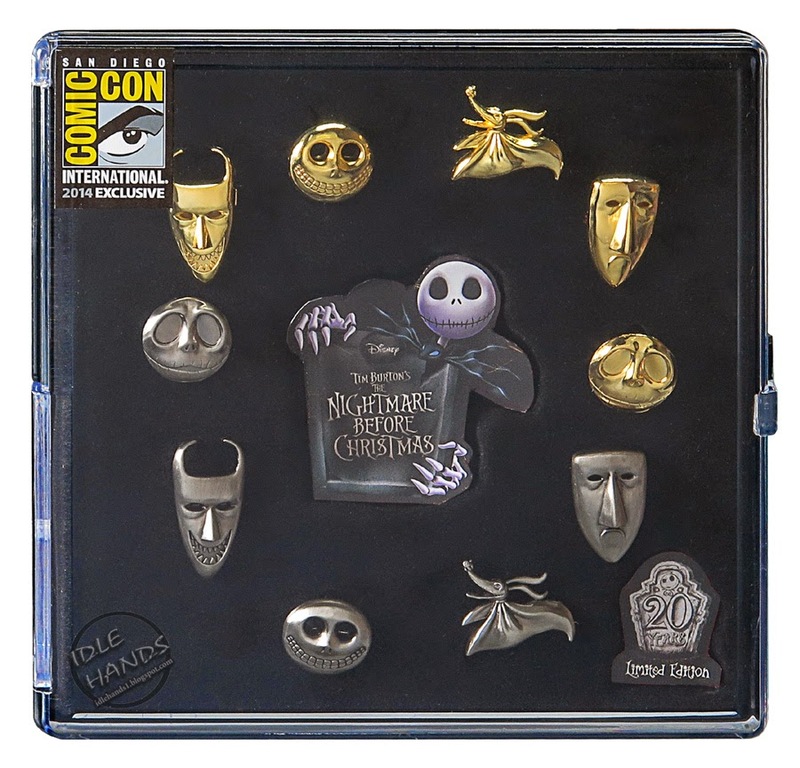 This set comes in a nice black display box so you can enjoy Halloween all year long. 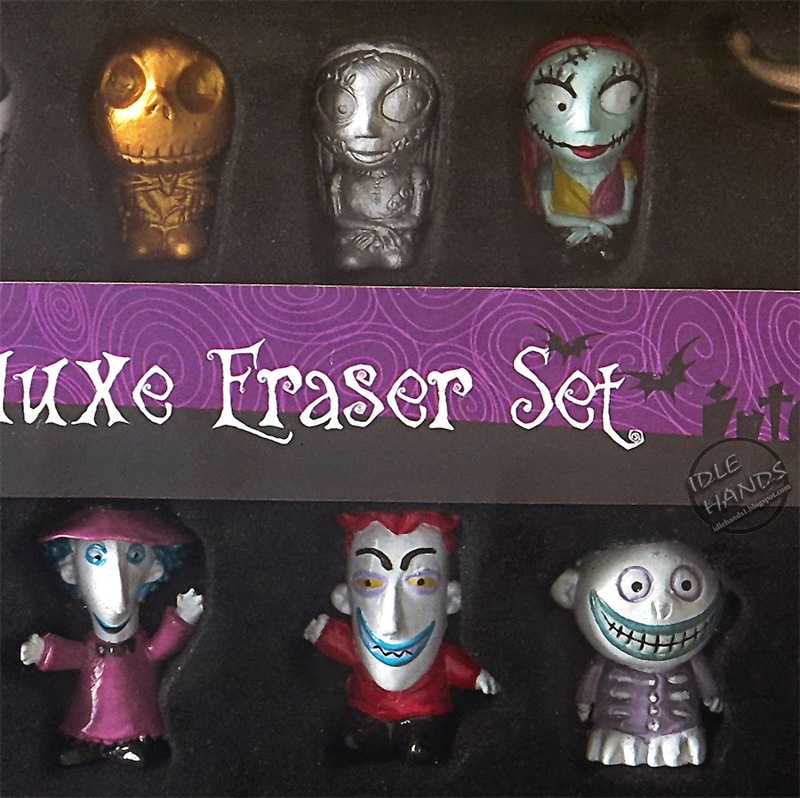 Use them as erasers or keep them as display figures. - Kingdom Hearts Sora's Key Blade and Riku's Sword ($20): 500 pieces- 2 Piece box set - Fans of Kingdom Hearts will love this Gold Riku Sword and Sora’s Key Blade - Two Piece Box Set. 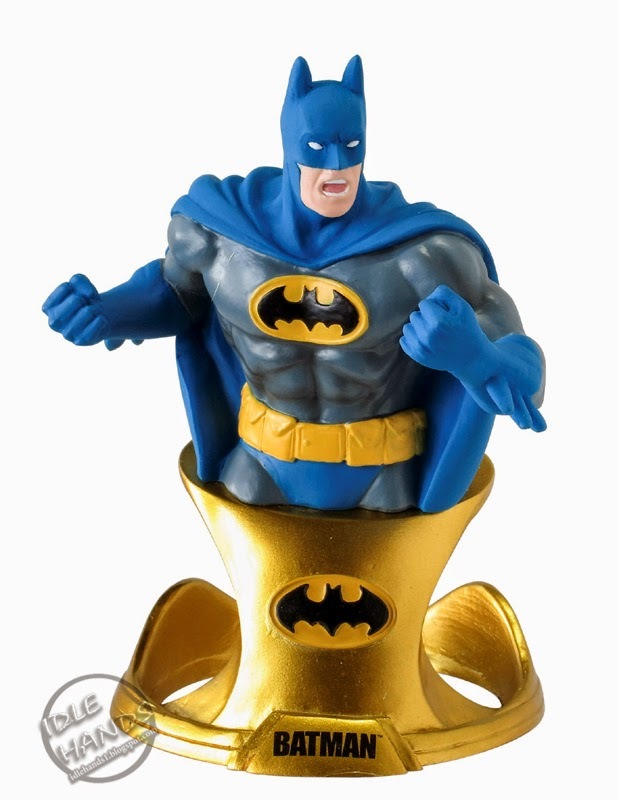 It comes in a black case so you can keep it in your display case or show it off on your desk. 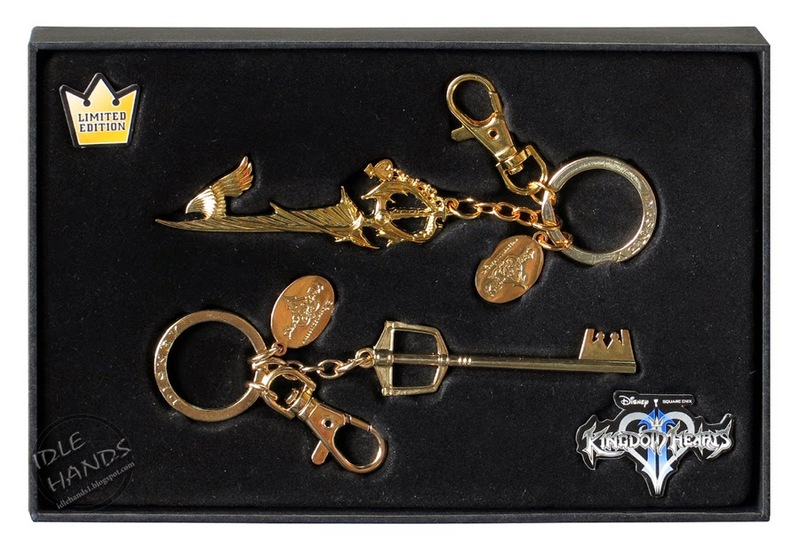 Get one of these sets and you will hold the power of the key blade and Riku’s sword. 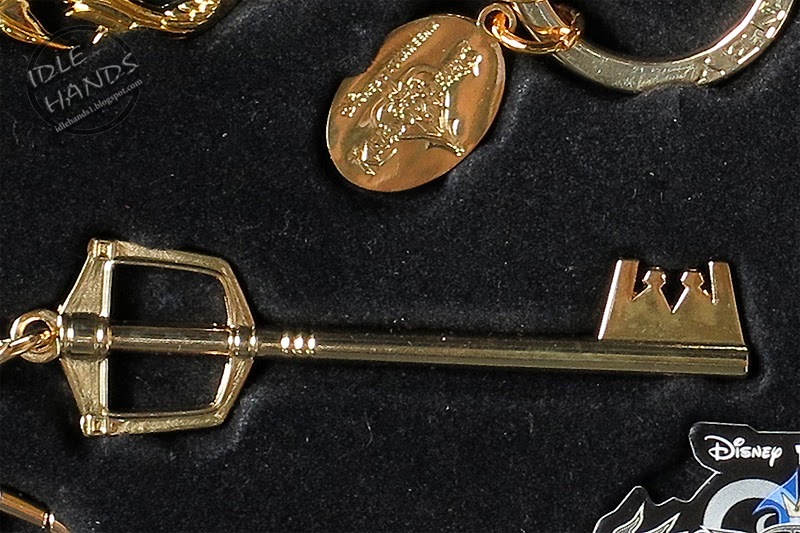 - The items are replicas or the Sora Key Blade and Riku’s Sword. 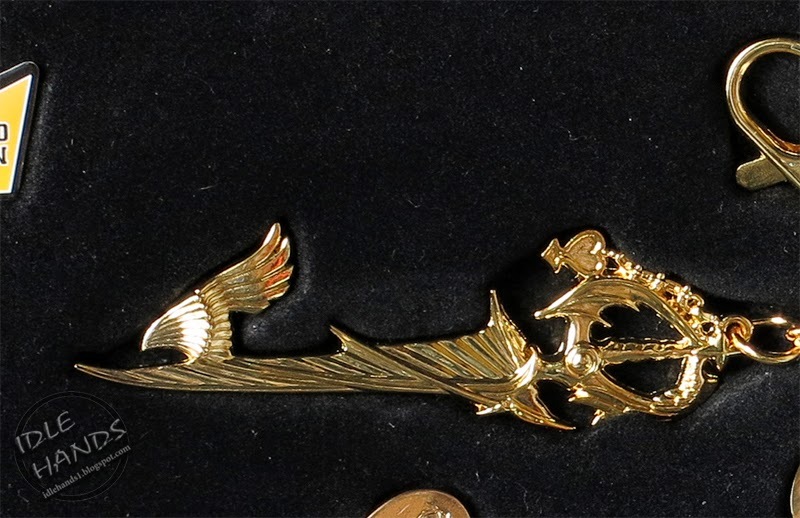 - Highly detailed items with the Kingdom Hearts Logo. 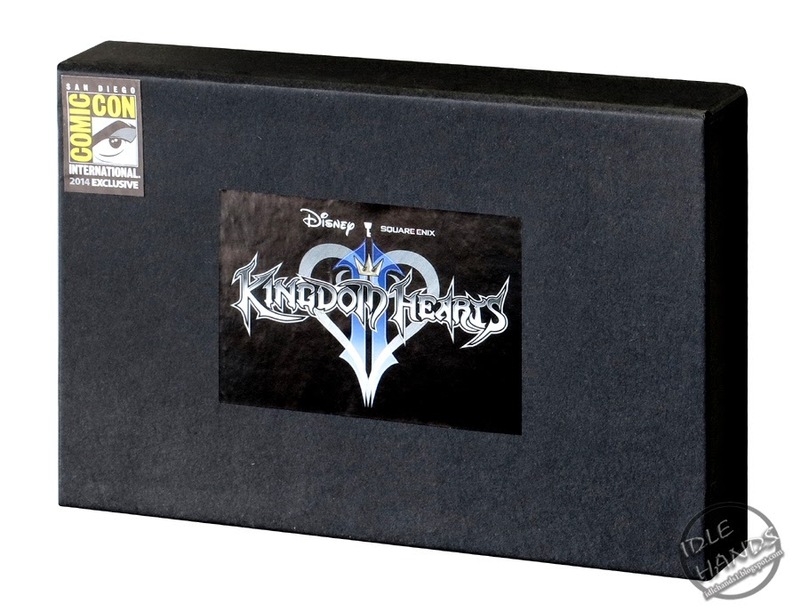 - This beautiful collectors’ piece makes a great gift for your Kingdom Hearts fan friends. for Jack Skellington and his friends! 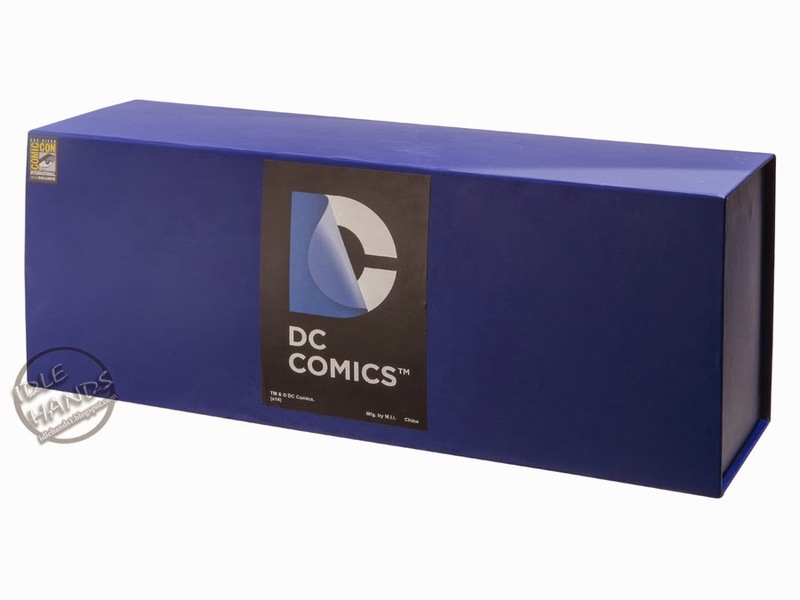 -Comes in displayable black box. -Makes a gorgeous gift for Nightmare fans. 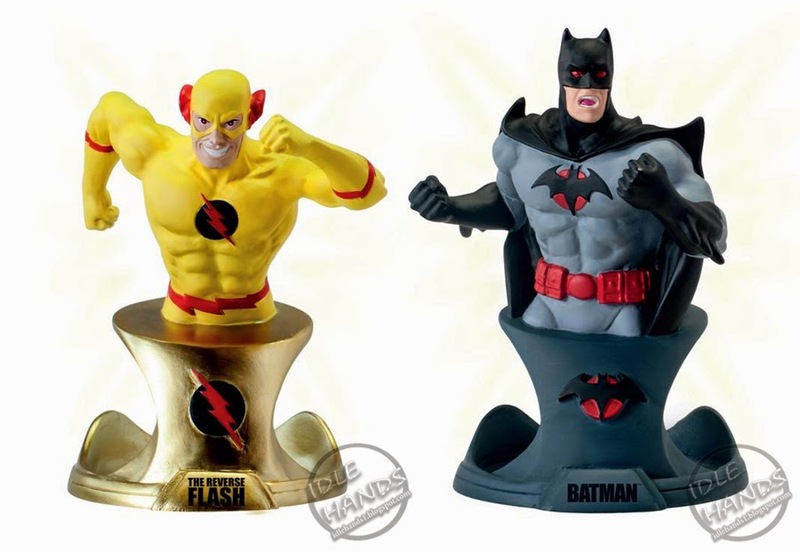 - DC Comics The Reverse Flash and Batman Bust Paperweights ($50): Limited to 1,000 pieces - Monogram International has partnered together with Action Figures Xpress to create these exclusive designer resin bust paperweights of Batman and Reverse Flash for the 2014 Comic-Con. These exclusive paperweights will be sold at the Action Figures Xpress booth 3345. These hand painted resin paperweights look fantastic in your display case or on your desk top. 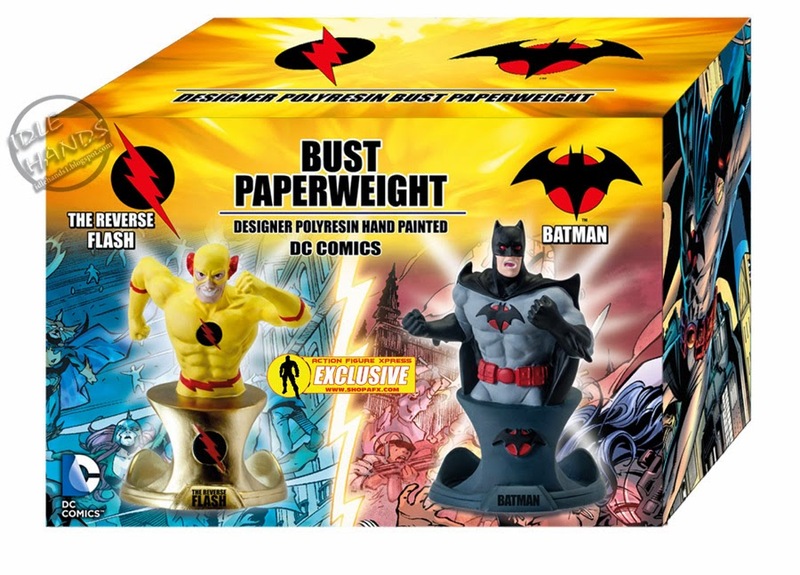 These unique exclusive figures are a sure collector’s item and they come together sharply packaged to keep for yourself or to give as a great gift. 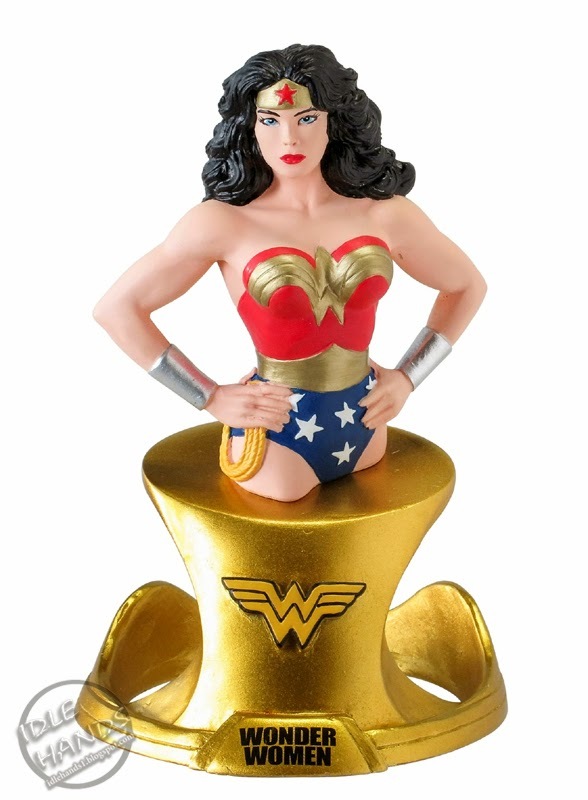 - DC Comics Resin Paperweight 4 Piece Set ($100): Superman, Wonder Woman, Batman and The Joker come together in this powerful resin paperweight set. 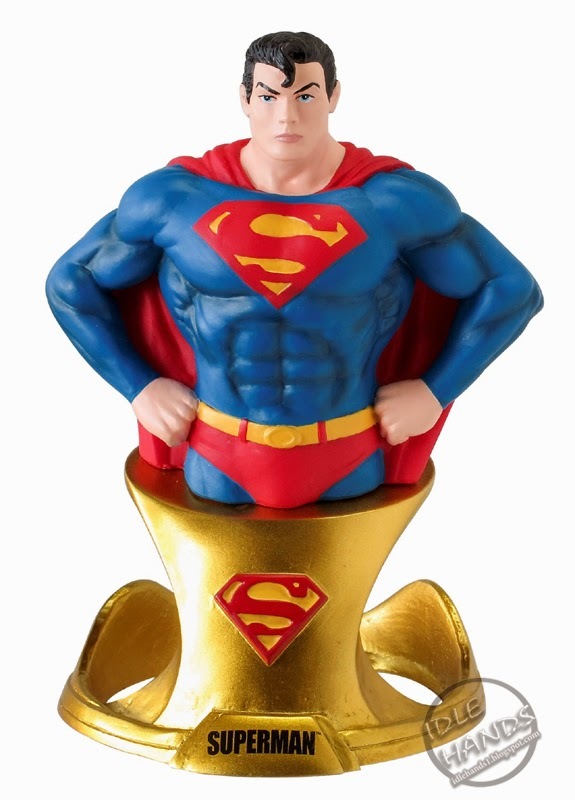 Each character is intricately detailed with vibrant colors sure to draw attention and exclusive gold bases, ensuring this will be a unique collector's item for DC fans! 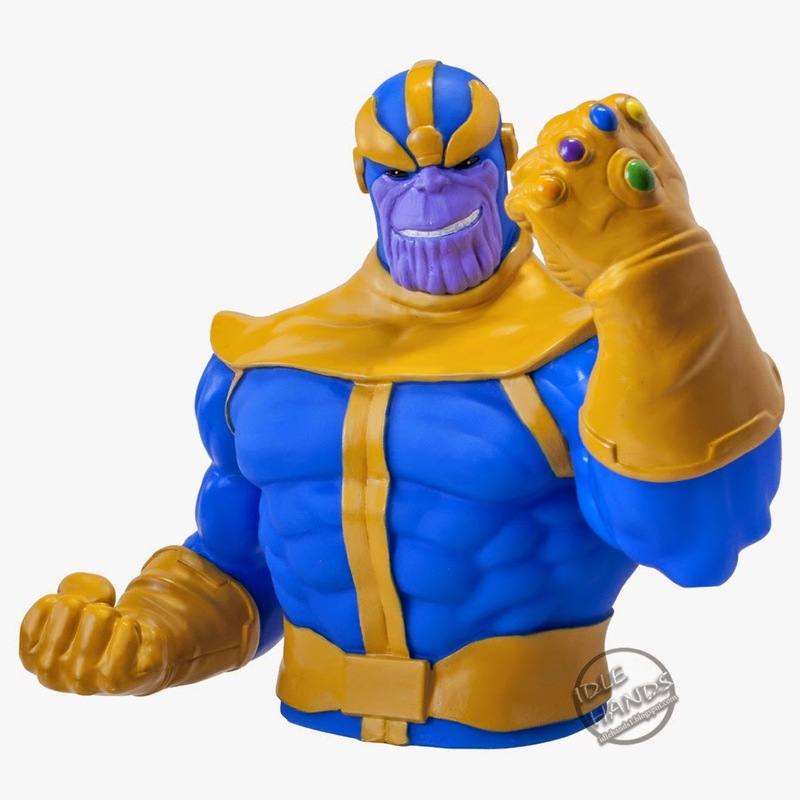 - Thanos Resin Bust Bank ($25): Thanos is a well-known super villain who possesses superhuman strength, stamina, durability and intelligence. Born on Saturn’s moon, Titan, Thanos carries a Deviant’s gene. Through bionic implementation and long hours of meditation, Thanos augmented his powers so that they surpassed all of those on his planet. Painted in vibrant colors with a slot in the back for coins and wearing the Infinity Gauntlet to ward off common thieves. 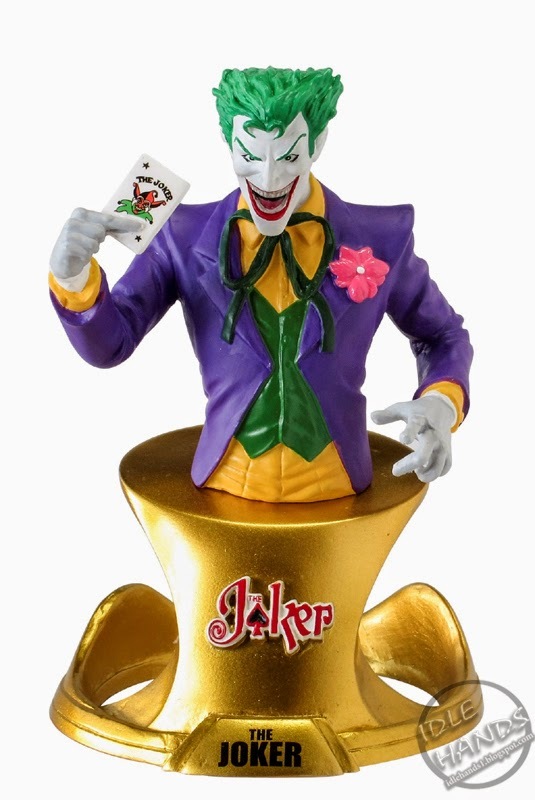 - Harley Quinn and Joker Resin Bank Set ($50): Limited to 300 sets - The Joker and Harley Quinn are up to no good. 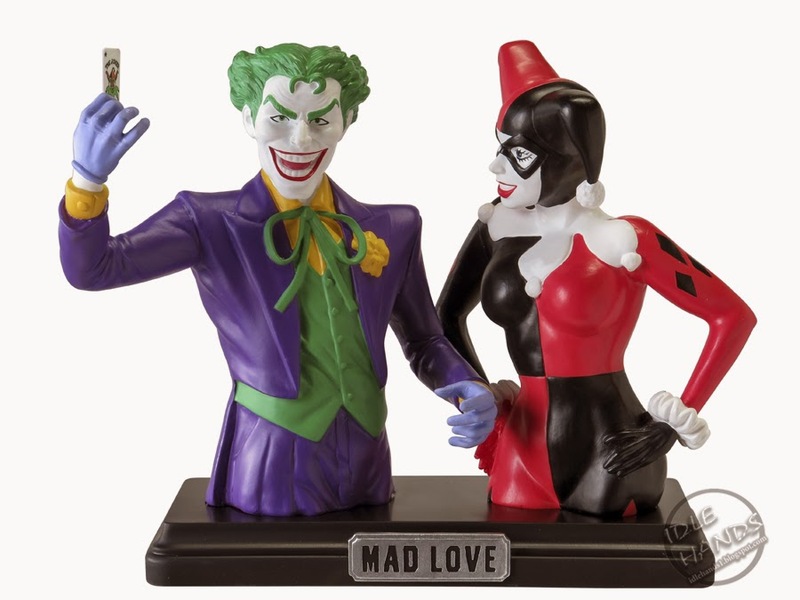 This scheming and psychotic couple have arrived with this resin bank set. The Joker and Harley Quinn are two of the most popular villains in the world. Be sure to get one of these super villain sets! 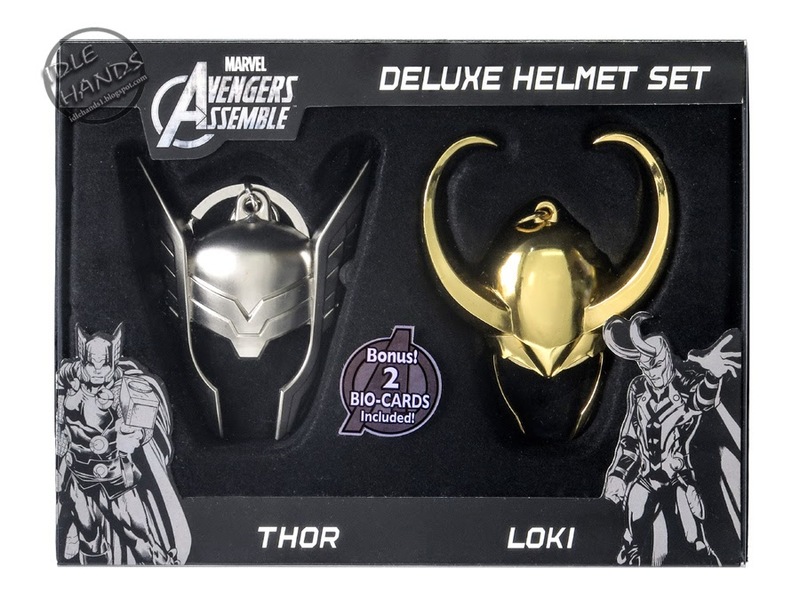 - Thor and Loki Helms 2 Piece Key Ring Set ($25): Monogram International is presenting the initial launch of their Limited Edition Thor Mask and Loki Mask 2 Piece Set at the 2014 Comic-Con! Be the first to view and purchase this beautifully crafted set of zinc alloy key rings. The Thor Helmet comes in a Special Edition Pearl Silver color and the Loki comes in a Special Edition Gold color. You can use these key rings as accessories by attaching them to your bag or backpack. They can also be used to organize your keys or keep them packaged as a sharp looking display. More to come so keep watching!